A woman from Broken Arrow, OK is taking measures into her own hands when it comes to the ongoing investigation into possibly contaminated jerky style dog treats by the FDA. After her dog passed on after consuming the treats, she wants to help other families avoid the same sad situation. Debi Lisle’s Labrador retriever, Mocha Marie unexpectedly got ill and died back in February of 2013. What makes it so strange is the fact that the dog was given a full medical examination and passed with flying colors. 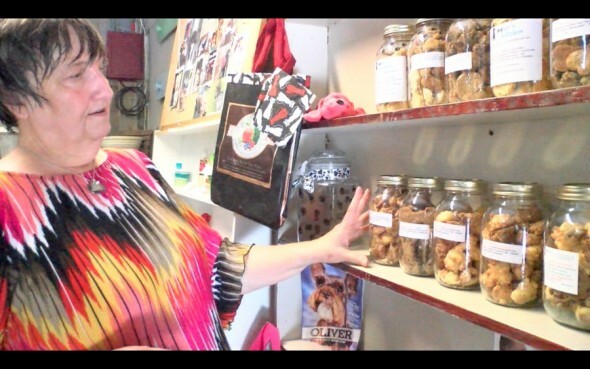 Debi believes it was after ingesting jerky treats made in China, the very ones under investigation by the FDA due to reports of vast amounts of sickness and death following owners feeding these to their dogs, are what caused Mocha’s death. “When she died suddenly, I just started investigating. That was the only thing different in her life, the treats,” said Debi.